The equity markets are performing eerily similar to trends observed prior to the previous two bear markets. 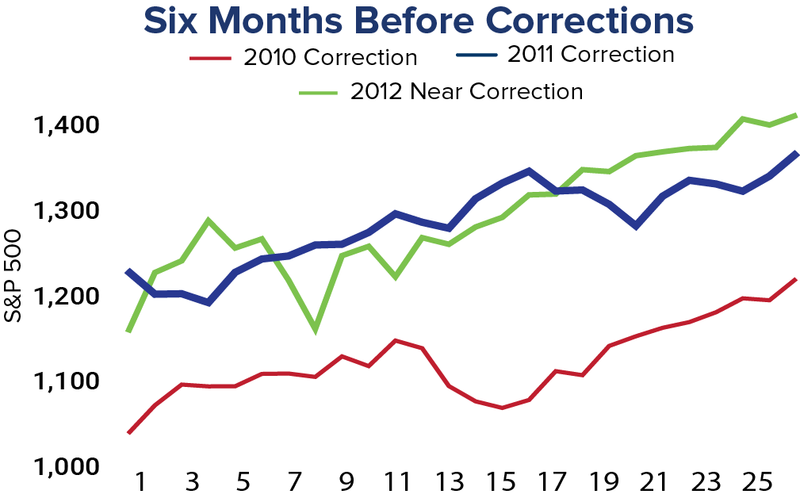 Nonetheless, differentiating between corrections and the beginning of a bear market is challenging. By examining recent market trends, investors can reposition their portfolios to face uncertainty with greater confidence. Since the current bull market began in 2009, the S&P 500 has fallen into correction territory three times and approached a 10 percent decline on three additional occasions. At the time of the recent corrections, the slope of the 200-day moving average was much greater than the current situation on Wall Street. After the correction in the summer of 2011, when Standard & Poor’s downgraded America’s credit rating to AA+, growth in the equity markets remained relatively steady until the beginning of 2015. Recent corrections and bear markets have exhibited different patterns in the 6 months preceding corrections and bear markets. 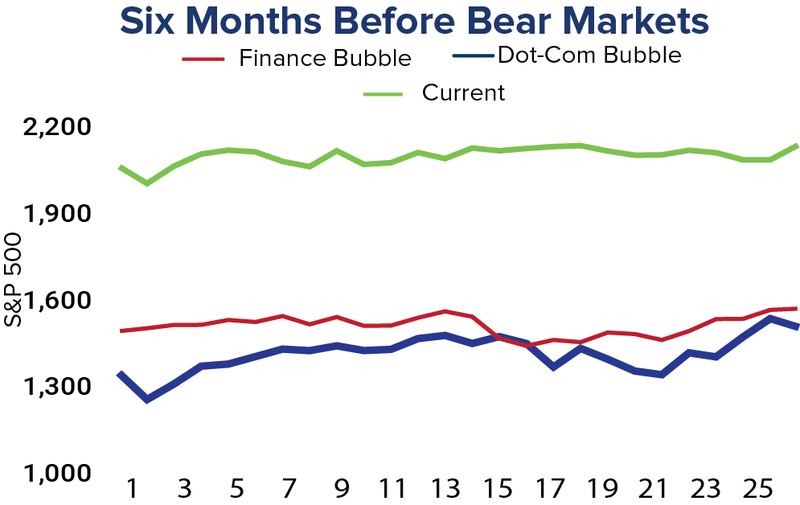 Typically, the first phase of a bear market is sideways movement for six or more months. Recent corrections, on the other hand, have pulled down rising equity prices. In the past two corrections and another near-10 percent drop, the average increase in the S&P 500 during the prior six months was 17 percent. In the current market and previous two bear markets, the average increase in the index was 7 percent. Only time will tell if the current sideways market turns into a bear, but diversifying in the light of current data is the wisest decision available for investors. Diversification protects portfolios from a stock-market downturn, which will eventually occur. 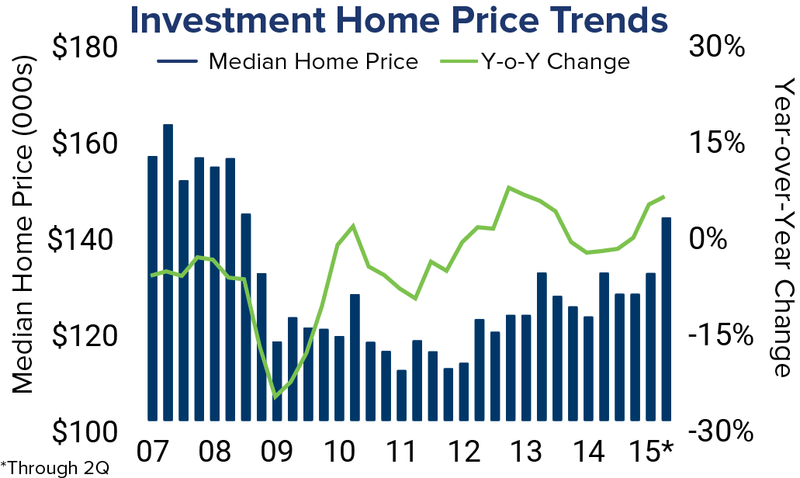 Home investment is an avenue for diversification, though a surge in prices has generated questions regarding the heated nature of the housing market. According to the National Association of Realtors, the price of single-family homes recently surpassed the pre-recession peak. However, home investors are far more disciplined in today’s market. The price of an investment home peaked at $176,400 during the third quarter of 2006 as novice buyers purchased new homes anticipating solely appreciation. In the second quarter of this year, a median-priced investment home was $148,000 as seasoned investors focus on location and diligent underwriting. Approximately 10,000 Americans reach retirement age every day, and the need for cash-flowing investments over the long term helps ensure retirees will not outlive their savings. By targeting well-located single-family rentals, investors can unlock the potential of a previously untapped asset class. 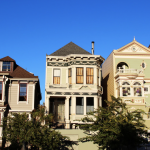 Strong renter demand is going unmet by builders and an elevated level of government oversight following the housing crash is limiting the number of renters that are able to transition to homeownership. Furthermore, high student loan debt, delayed family formation, and “mortgage fatigue” from former homeowners that lost their homes has created a large population of residents that will remain renters. The supply-demand imbalance will support single-family rentals over the long term. Schedule a free consultation to learn how to diversify into SFRs.